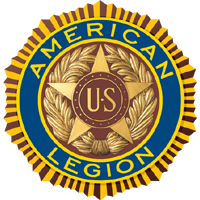 Since our charter, Feb 10, 1924, our American Legion Post 91 of Oconomowoc, Wisconsin has been welcoming VETERANS from all branches of our Armed Forces. Today, we continue to welcome all military personnel serving our country. Joining our Post enables you to continue serving your God, Country and Community. Our mission is to implement the goals, aspirations, dreams, peace and blessings for our country, friends and families embodied in our preamble below. To the wonderful patriotic citizens of the Oconomowoc community. Post 91 would like to see every business, home and school fly an American Flag. Daily if possible, but especially Memorial Day, Flag Day, 4th of July, September 11th and Veterans Day. Please see the tab "American Flags For Sale", page 2 for Flag sizes and prices along with other services we can provide.